Serviced, inspected and ready to work. Clean southern truck. 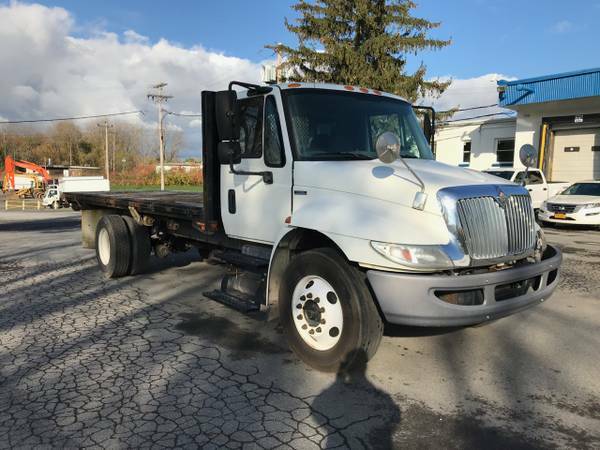 2009 International Durastar flatbed truck International DT466 diesel engine Eaton Fuller 6 speed transmission air conditioning power steering air brakes power windows cruise control tilt wheel 20’ flatbed with hardwood floor built-in ratchet straps clean title 33000 GVWR NYS inspection DOT inspection $17,900.